Every Tuesday we try to bring you the best documentaries. From old classics to new and perhaps unreleased gems. 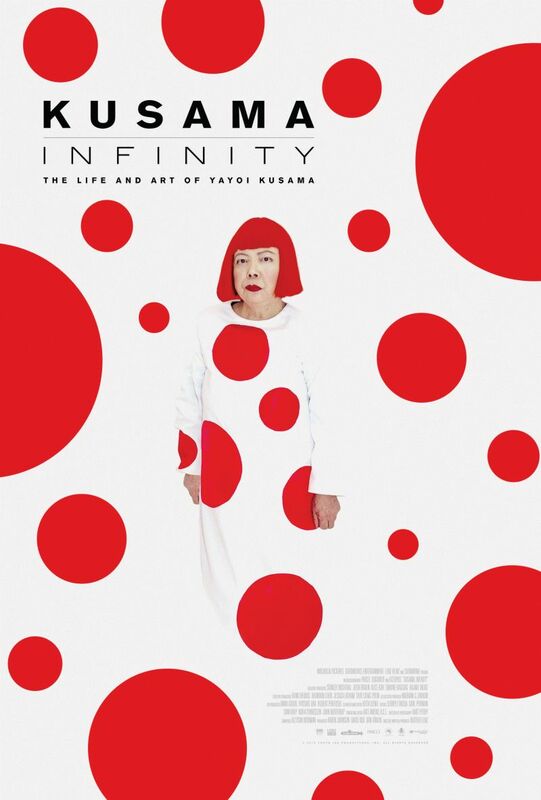 We are extremely happy to bring to the Netherlands the wonderful documentary Kusama: Infinity; the fascinating story of the queen of polka dots, Yayoi Kusama, one of the most popular artists in the world today. Kusama – Infinity explores Yayoi Kusama’s fierce determination to become a world-renowned artist. Kusama was born into a conservative family in rural Japan and she made her way to America on the heels of WWII. There, without connections and speaking only broken English, she devoted herself to her one true love, making art. On her first day in New York, Kusama has stated that she climbed to the top of the Empire State Building, looked down upon the city below, and made a decision to stand out from everyone she saw below and become a star. She has received the Praemium Imperiale Laureate for lifetime achievement in painting, and was named the world’s ‘most popular artist’ and one of the ‘most expensive living female artist’ in 2014.